As much as we’d like to believe otherwise, the majority of us are procrastinators. We leave things until the last minute. Then we rationalize. We say that we need time to make a decision. What this really means is we haven’t been convinced to act now, so we wait. Think about the number of times you’ve said “I need to think about it” before purchasing, even though you really wanted the product. Oftentimes you get distracted, (cue funny cat video) and completely forget about the product page you were on. Your landing pages need to compete with this type of behavior. Don’t let a visitor second guess whether they should convert or not. Get them to convert on your landing page before they’ve had a chance to talk themselves out of it. You might be thinking, "this is exactly what I’ve been trying to do and it’s not working!" Well, you’re in luck. I have some great ways to light the fire under your visitors to get them to convert now instead of later. In this article I'll show you exactly how creating urgency can help optimize your landing pages and increase your conversions. When you give visitors a time constraint on their offer they’ll start feeling the pressure to act now. Time constraints (real or implied) will encourage visitors to make quick decisions to avoid missing out on your offer. Real urgency is when you specify that something is going to end at a specific time and/or on a specific date. Think about it, which would make you more likely to convert: “the sale is ending soon” or “hurry there’s only 42 minutes left to buy”? When you use a specific time it adds pressure to the person by forcing them to make the decision now or lose out forever (they don’t know whether you’ll have this offer again). Top tip: If you say “Expires Friday at Midnight” on the day that it expires say, “Expires today at Midnight.” It’s like saying last day, hour, minute. Alternatively (or in addition to your text) you could add a countdown timer. Adding a countdown timer allows visitors to see - in real time - the exact amount of time they have left to complete your offer. The closer this clock gets to zero the greater the sense of urgency they’ll feel. Countdown timers have been known to increase conversions by up to 147%. Click here to see how you can add a countdown timer to your landing page. Implied urgency is when you convey the message that your offer is going to end using keywords like “now” “today” or “soon”. These words help gently push a visitor to convert by subliminally telling them to get something (your offer) done. This implies urgency in two ways, first by stating that it’s a Holiday blowout. This implies that it’s only going to be happening over the holiday season. It also uses the key messaging “act now” and “before it’s too late” to imply that this isn’t going to last forever. 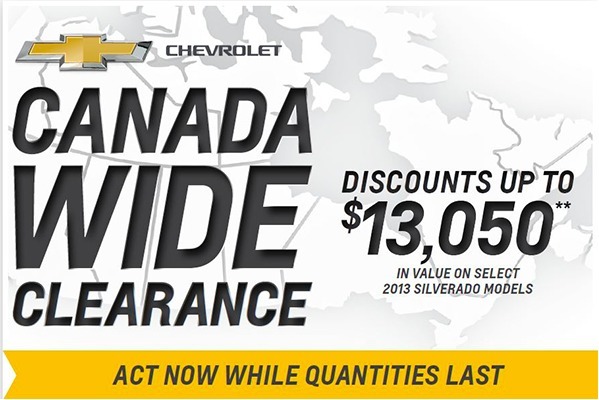 In the example above Chevrolet uses implied urgency in their call-to-action by saying “Act now while quantities last.” They haven’t said how many 2013 Silverados they have, but using “while quantities last” implies that you better act now before they’re all gone. The less time there is until an event, a product launch, etc the more someone will want your product. You don’t want someone to wait until the last minute to buy your product so you need to increase necessity. How? Increase the cost of your product as time decreases. This creates urgency as people know that if they want a good deal they have to buy early. Say that you’ve got a great product but you just made a number of additions that make it more valuable. Next week you’re going to increase the cost but you want to let everyone (before the price increases) that you’re doing this. Even if they haven’t seen your product before, they’ll see that if they want to get all of the features at a lower price they need to buy it now. Alternatively, say your landing page was focused around a seminar that you’re selling tickets to. To get as many people to go as possible use this same tactic. Say to them: “Only one week left until the next increase.” Each week you could increase the price and show that they need to buy as soon as possible to get the best deal. When you create something (especially an online tool) it’s not always easy to convey that they should buy your product instead of your competitors. This is because you haven’t convinced them that they need yours to be successful. Convey urgency by showing a visitor that without your product (or if they don’t get your product in time) that they’ll be left in the dark. If you display the limits of your product in the right way you will create a sense of urgency. Remember less is more. Think about shopping on a site like Expedia. You go on and check all of the hotels. You’re way more likely to purchase the hotel right away if there’s only one hotel left (and 10 others are looking at it). You don’t want to miss out on that deal. Use this on your landing page. If you only have a limited supply left let people know. 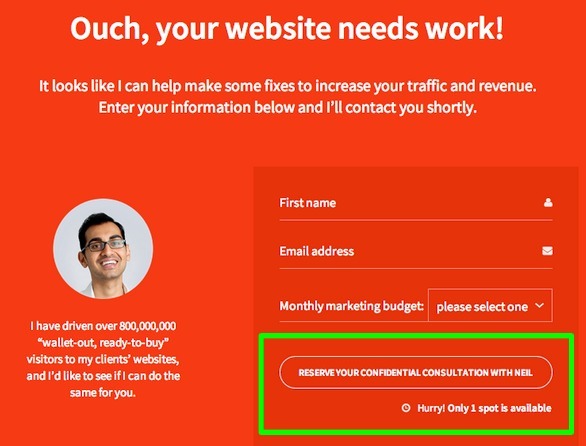 Neil Patel uses this in the following example by using “Hurry only 1 spot left”. This implies that if you want to reserve a spot you better act now otherwise you’re going to miss out. This is also a tactic that is commonly used with airlines. 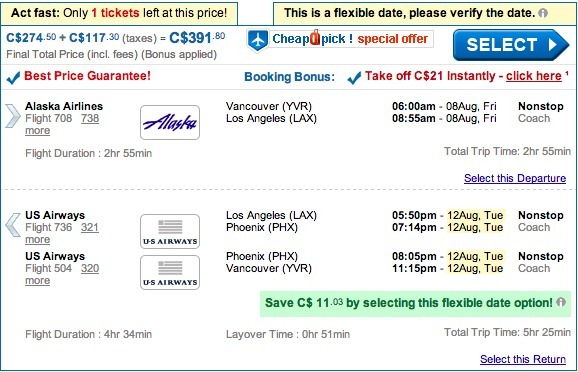 The example below from cheapoair.com uses scarcity of resources to create urgency to get you to buy a plane ticket right away. As you can see in the top left corner it says “Act fast: Only 1 ticket left at this price” Therefore if the visitor to this website wants this price they’re going to have to book before it’s gone. Sometimes people are hesitant to convert because they’re not sure if your product is right for them or they’re unfamiliar with your company. Don’t let them second guess that the product is right for them. Both your ad and landing page should convey some urgency. Think about what kind of problems they’re having and how you’re going to fix them. To put this in context, let's say that you have a pain-relief product. Create urgency by saying, “Why wait, get relief now.” This will make them associate your product with the relief their pain. Explaining which pain points will be alleviated by reading the ebook will encourage more visitors to convert on the spot. They’ll understand on the spot what they’re going to accomplish without having to do (as much) additional research before converting. You need to create urgency on your landing pages if you want people to stop and convert. If you use urgency wisely you will encourage more visitors to stop procrastinating and become your leads now.